Sharon Stewart of Liberty Rose scores again with another great pattern! I took a class from her to make these adorable snowmen! The original plan was to make three snowman with a top hat, but while I was in class I suggested we also create a Mama and a Little Boy snowman. Sharon whipped up some new ideas on the spot for the ladies’ red hat and the child’s ear muffs. I am very pleased with my snowman family! Now if there were only a way to create a pet dog snowman…. 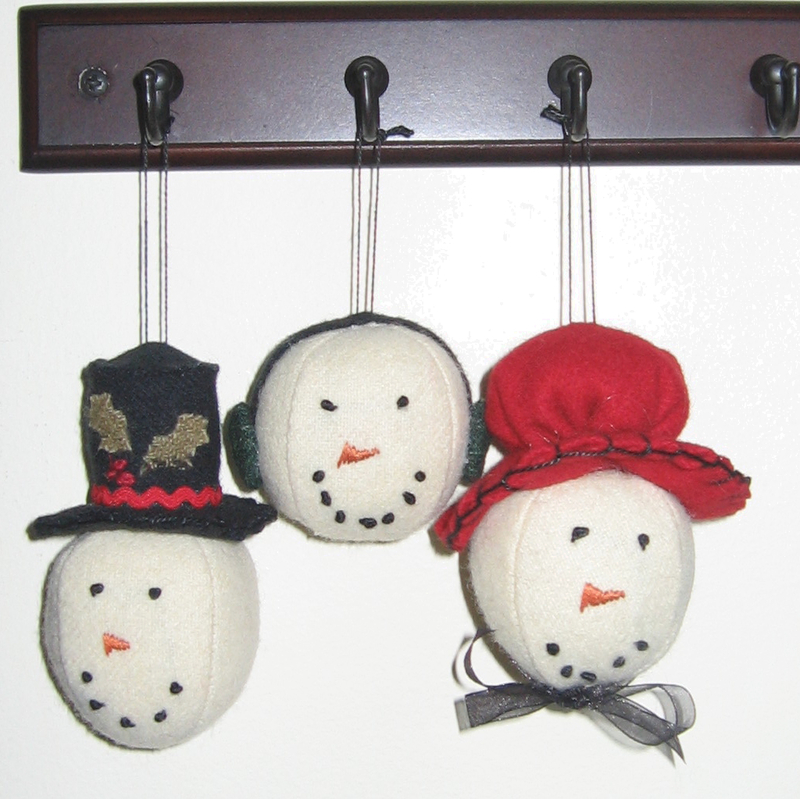 These will make great gifts and are so easy to make. I will probably make more with some different faces and hats. Christmas is only 6 months away, so it’s time to start planning! This entry was posted in Holidays, Wool. Bookmark the permalink. I have a Dritz my body double that you can come see if you would like. I had thoughts at one point in my life of sewing clothes, but it never happened. Let me know if you would like to see it. Hey Laura – I would love to stop by and see it. Let me know when it’s a good time. I live about a mile from you :).